Amplified Events is a top-notch DJ service based out of Northwest Indiana that allows you to experience the wedding you've always imagined. Weddings are our specialty and we want to make yours a huge success. Whether you want us to perform for your ceremony or your reception, we'll assist you with introductions, announcements and the day of coordination. We’re all about playing dance floor filling music sets that are mixed by an amazing DJ. We share your passion for music and we will respect your style, wishes and tastes. Couples who book with us will experience a DJ who is responsive, trustworthy and just as excited for your wedding as you are. We deliver a personalized approach to your wedding with the care and commitment you would expect from your best friend. We strive to create an atmosphere full of energy and excitement that your guests will remember for years to come. Amplified Events received the Wedding Wire's Couple's Choice Award for 2018, 2019 and the Best of Weddings 2019 Pick from the Knot. Industry professionals who receive these awards represent the top 5% of wedding professionals nationwide. We feel truly honored to receive these awards. It is all due to the incredible couples who trusted us with their wedding and wrote some of the amazing reviews below. "Mike is the best DJ I've ever known and one of the most honorable and dedicated men you'll ever meet. He is a consummate professional and is not one of those DJs that thinks he knows best and goes over the heads of the bride & groom. He has an uncanny ability to read a room and tailor the music to the mood and audience. He understands the importance of the moment yet knows how to have fun. Mike knew our crowd and played the perfect jams to pack the dance floor ("Party in the USA" in our case!). 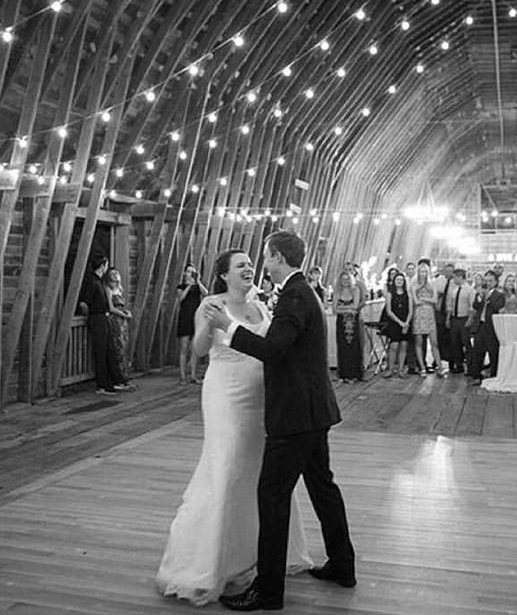 Some of my guests, even years later, still bring up how awesome the DJ was at my wedding." "After attending all of our friends' weddings who had Mike DJ their event, we knew we had to snag him for our wedding! In all honesty, choosing him was by far the greatest decision we ever made during our planning. Mike and his colleague went above and beyond for my husband and I with not only exceeding our expectations in terms of music, but also keeping the event flowing smoothly and on schedule! Suffice it to say, if you're thinking about going with Amplified Events for your event - stop thinking and do it!!!" "Such an amazing company to work with!! Mike is a great DJ - from planning to executing, he was everything we could have asked for. He knows how to get people on the dance floor and keep them there. He made sure he had all songs from our request list (we even gave him some the night before). I can’t recommend Amplified Events enough!"